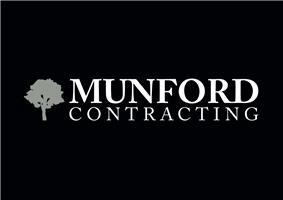 Munford Contracting - Carpenter, Fencing/Gates based in Kenardington, Kent. At Munford Contracting, a family run business, we offer a professional and tailored carpentry service. All aspects of carpentry are undertaken as standard, as well as a range of landscaping and grounds work. As Director, Daniel is NVQ Level 3 qualified and works with a skilled and trusted team who pride themselves on excellent customer service and the highest quality workmanship. Please get in contact for a free, no obligation estimate.